Contrary to popular belief, rats are actually extremely intelligent creatures. Although movies often portray them as self-serving and greedy, rats are actually highly social and capable of working together in cooperation. Scientists studying the social intelligence of rats found that often times a rat will free a fellow rat from its cage even if they have nothing to gain by doing so. Rats have a long history of living alongside humans, often competing for the same food sources and evading our attempts to eradicate them. In scientific terms they are considered a commensal species because they seek out humans to benefit from them. This is what makes rodent control so challenging- they are capable of learning to avoid our traps and adapt to our methods. Both mice and rats are nocturnal, and are believed to be color blind. They have poor eyesight, which they make up for with a sharp sense of smell and keen hearing. One type of rat, the African Giant Pouch Rat, can be trained to detect landmines and Tuberculosis. Mice and rats are excellent jumpers, swimmers, and climbers. Mice can scale vertical surfaces, balance on wires, jump up to 13 inches, and squeeze through spaces the size of a dime. Rats are particularly good swimmers and have been known to live in sewers and invade homes by crawling through the drains. They can squeeze through spaces the size of a quarter- much smaller than what appears possible! Rodents often enter homes in the winter seeking warmth, or when a house is left vacant for long periods of time. Once they begin nesting inside they breed rapidly and can produce offspring year round. In a single year, One female mouse can produce up to 10 litters of 5 to 6 young each. This new generation of up to 60 mice can begin their own breeding within as little as 6 weeks. 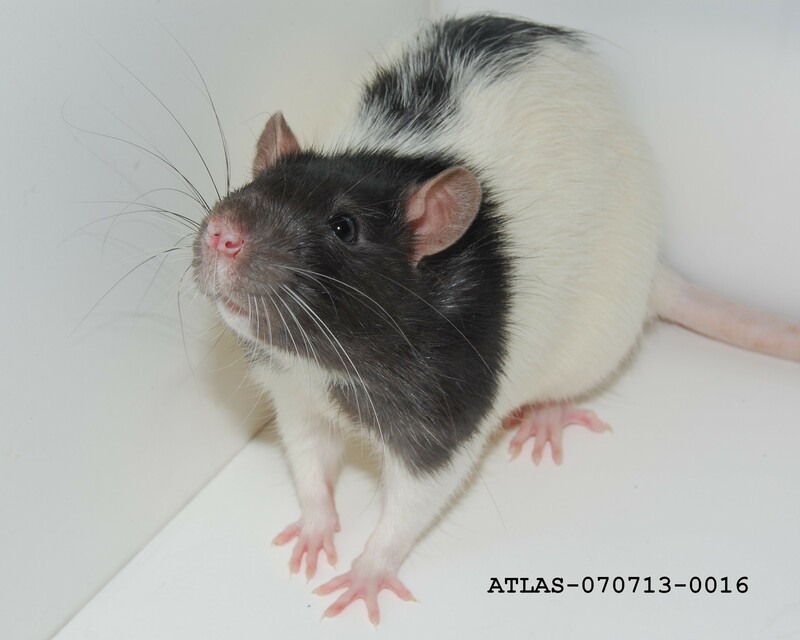 Rats are used in laboratory experiments in part because they possess problem solving abilities and other types of intelligence usually only found in humans and some other primates. Rats are known to carry several infectious diseases that can be transmitted to humans including the Hantavirus, which can be fatal. Other diseases rats carry include The Plague, Rat-Bite fever, and several others. For a complete list refer to the Center for Disease Control website covering the topic. Rats are often dirty enough to leave oily stains on fabric that they pass over, and they produce a musky odor. As they burrow and feed within a home, they often destroy far more food through contamination than they actually eat. When mice nest and forage inside of houses, they are known to burrow through wood, electrical wires, and other materials. Researchers believe that this may account for almost 25% of fires with “unknown causes”. A good strategy for dealing with an infestation is to not only trap the rodents throughout the house, but also eliminate access points into the house. Make the property a less desirable target to the rodents by eliminating sources of food such as uncovered garbage containers or messy kitchens. Certain traps and other methods are not recommended for various reasons. Poisons can pose a hazard to children and pets, can cause the rodents to die concealed within the walls, and may attract insects if left for a long time. Glue traps are considered inhumane, and live traps create more exposure to rodent urine or defecation which can transmit disease. Snap traps are most effective when administered by knowledgeable pest control specialists that are familiar with the behavior of the rodents and where best to place the traps. Mice and rats are similar in appearance, although rats are generally larger in size, with heads and feet that are proportionally larger. 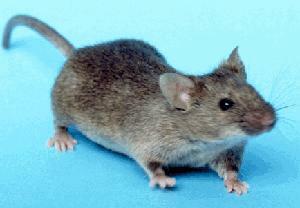 Mice have a smaller and hairier tail whereas rats tails are hairless and may appear scaly. House mice are typically no longer than 20 Cm in length from head to tail. Note the differences in size, proportions, and tail texture between the mouse to the left and the rat pictured above. This entry was posted in Uncategorized and tagged Arrow Exterminating, Hantavirus, infestation, mice, Mouse, Pest control, Rat, Rat-bite fever, rats, Rodent, rodent control on November 6, 2013 by ArrowBugBlog.